You can now purchase & place a deposit on your 2019 season tickets online! 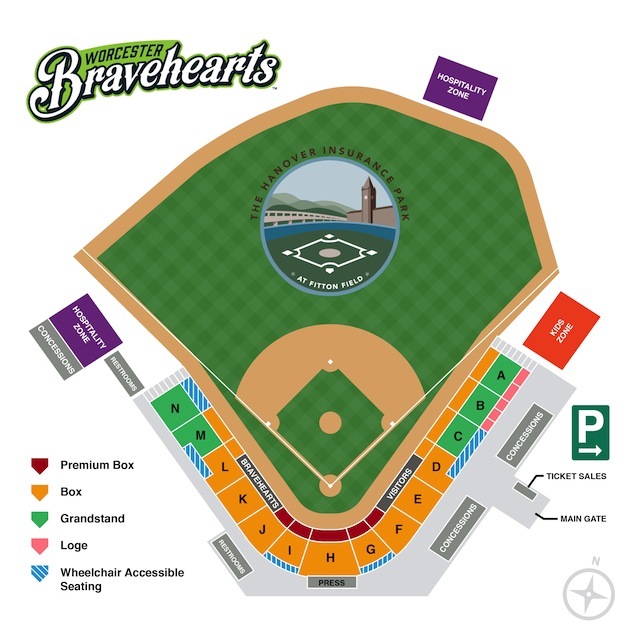 Click here to be taken to the secure form, fill out all fields, and you'll receive a phone call from the Bravehearts Ticket Office within 48 hours to select your seats. Season tickets are available in both our Premium Box and Box seating sections. Each seat is only $175. Season ticket books will be available in May, and season ticket holders will be invited to a special reception at Hanover Insurance Park at that time. To book your seats, fill out our online order form here OR email us at tickets@worcesterbravehearts.com to request a form that you can fill out and mail with payment to our front office at 39 Jolma Road, Worcester, MA 01604. Call the Bravehearts Box Office to speak with a season ticket representative today at 508-438-3773.